The Cozy Africabin is a guest favorite! Lavishly decorated with African decor. 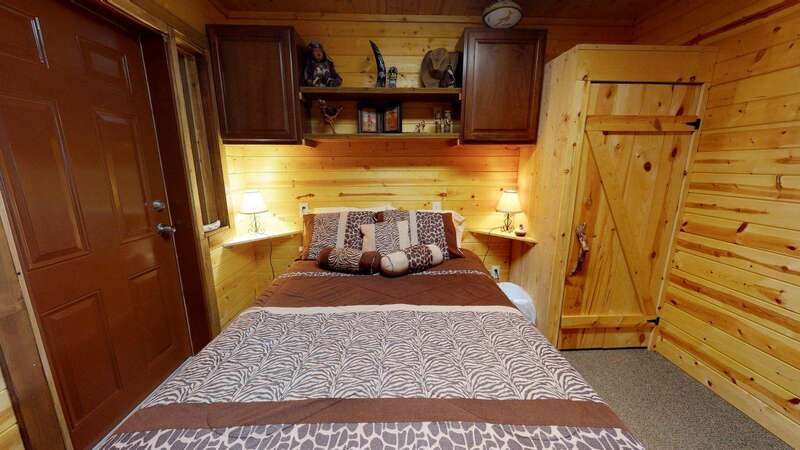 Sleeps up to 8 in beds including the loft beds. 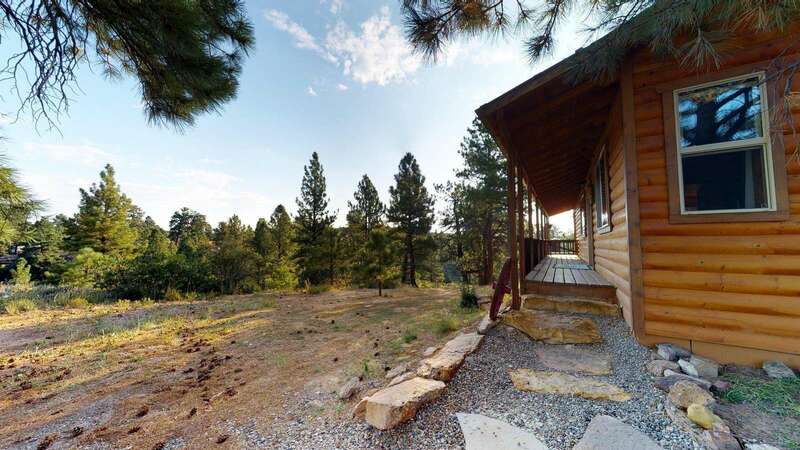 Set in a beautiful location at 7,200' elevation - surrounded by trees in the forest at the foot of the Abajo mountains, this cabin is the ideal spot to escape to - while remaining central among more than a dozen state and national parks and monuments, there is parking for all your vehicles, trailers and toys! 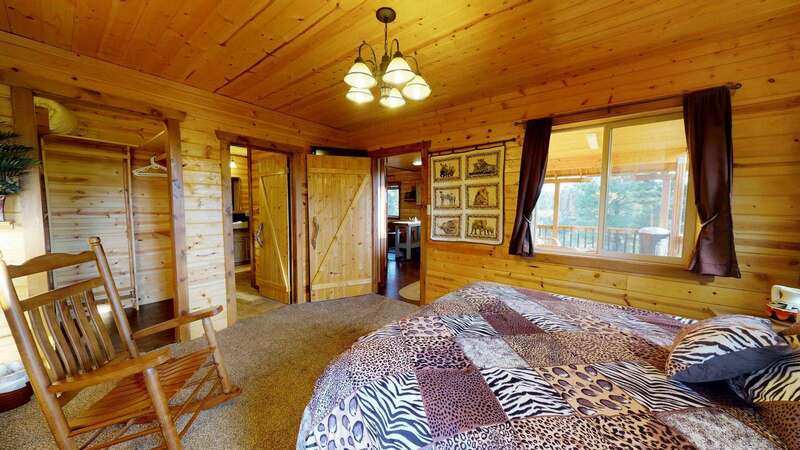 Featuring a spacious main level with Master Suite with a full 3 room bathroom with shower. 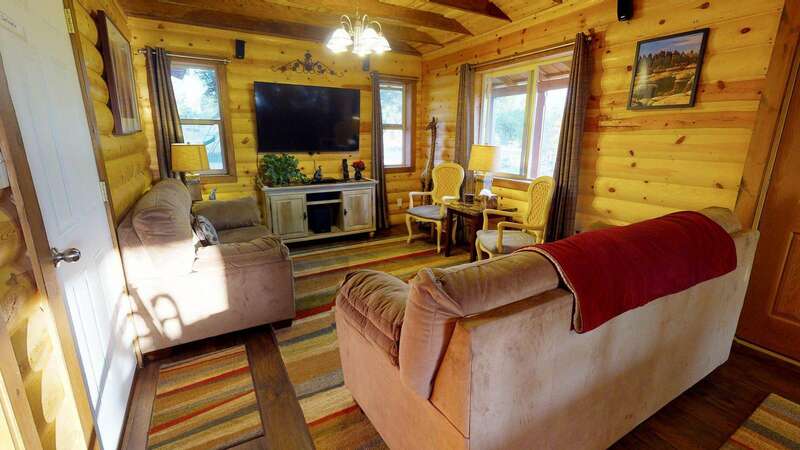 Also has a full kitchen, dining table, plush sofa, and love seat. 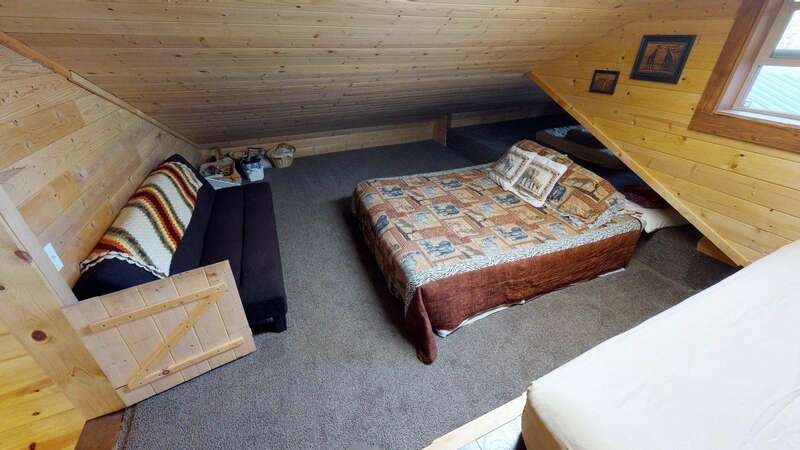 The upper-level loft features two queen beds and a full bed. 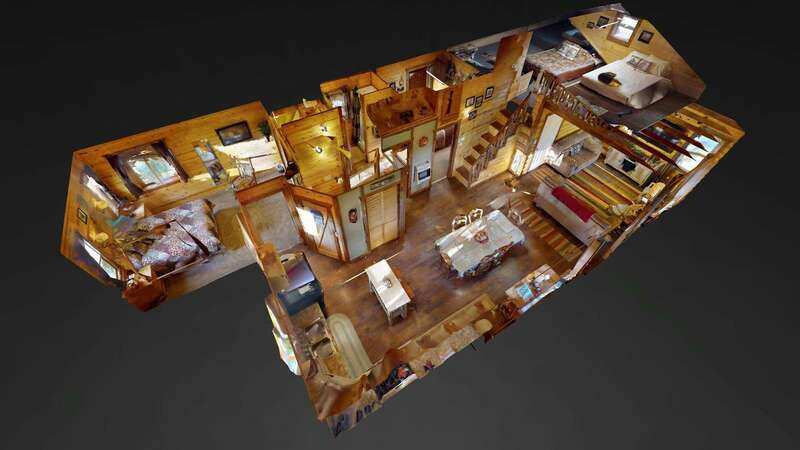 On the main level there is a family room with a big-screen TV and surround sound! 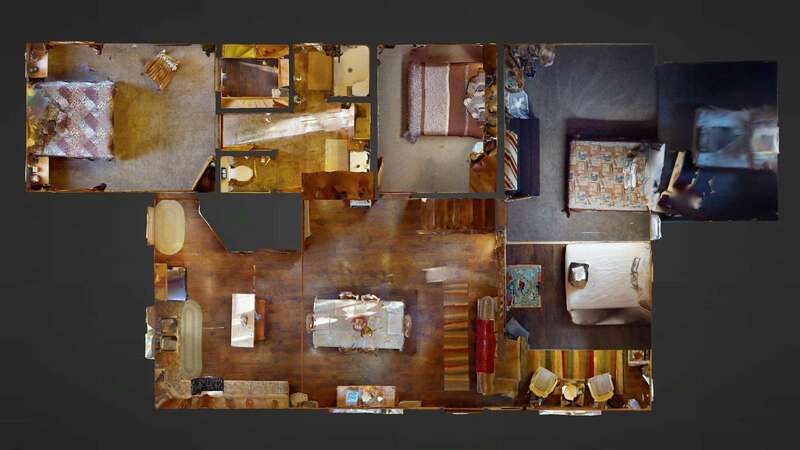 And don't forget the extra loft w/ carpet and additional pads for the kids! HDTV w/DVD player, wi-fi and all linens are provided. 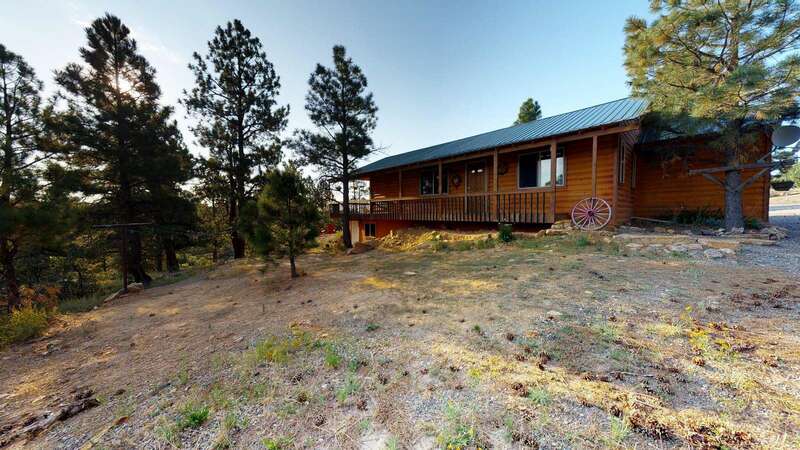 Outside you'll find a beautiful breakfast nook overlooking the canyon and forest, a large family campfire area, covered deck, picnic table, BBQ grill. Enjoy morning and evening walks among the deer and wildlife on more than 3 miles of private trails. This property has 4 Queen(s), 1 Full(s). Fully enjoyed our stay at the clean, comfortable, and quiet cabin with a mountain view. We appreciated the information on local attractions and the little extras that helped us feel at home. 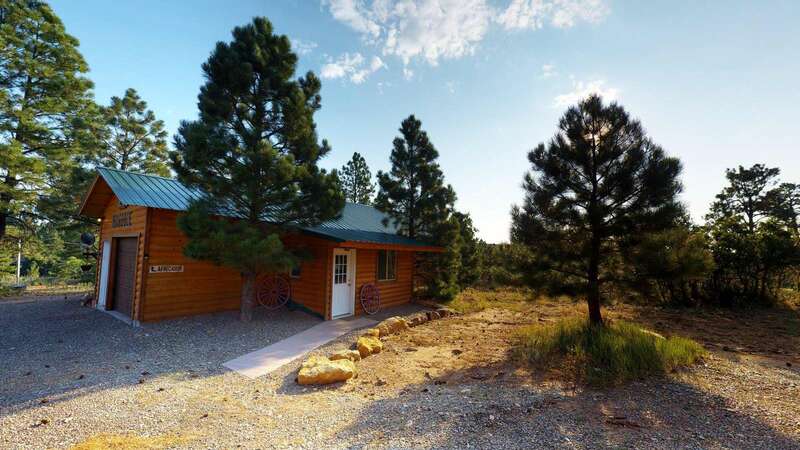 Beautiful cabin and a great location, close to Canyonlands and Arches. If expecting snow or rain, you'll need a 4WD vehicle to access the cabin. Beautiful, peaceful location with all the right amenities. Went cross-country skiing nearby with the help of the suggested local outdoor rec company and had a great time! We ran into some rough weather at checkout and Jerry went above and beyond to make sure we made it out of the snow and got on our way home safely. Amazing hospitality, made us feel like esteemed friends rather than just patrons. Highly recommend and hope to return soon! Our stay at the Africabin was so nice. 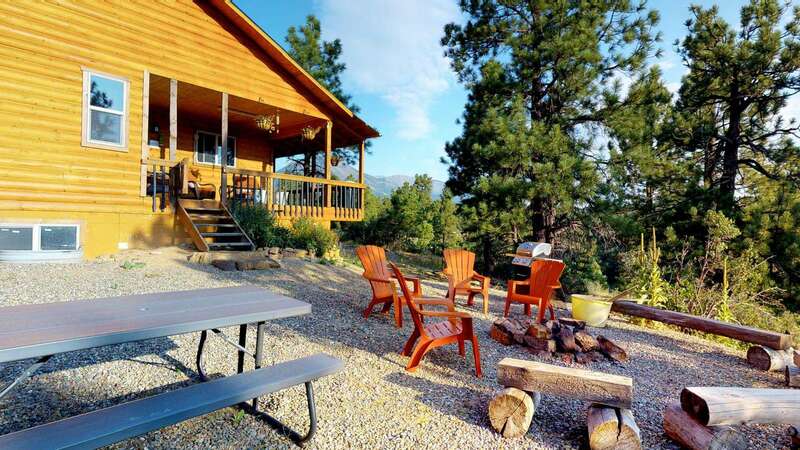 The location is amazing, the cabin is exactly as described, and the amenities are thoughtful. We had everything we needed to feel at home. Make sure you bring your own food as any restaurant is ~10 miles away. The kitchen is well stocked with kitchen utensils. We look forward to coming back in the summer! 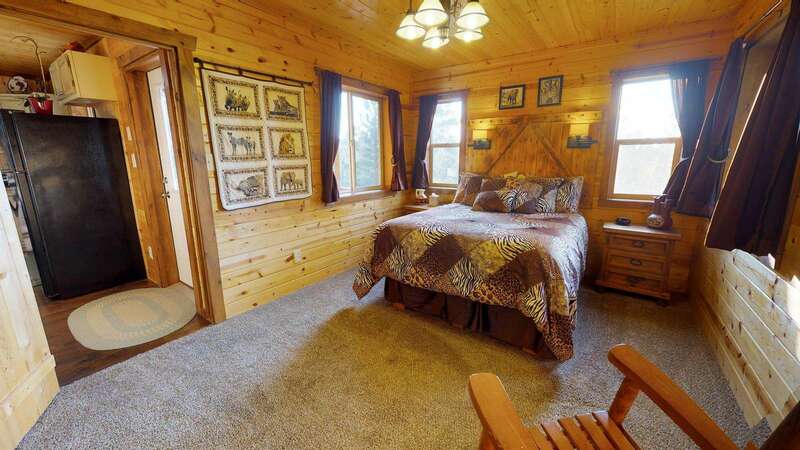 Beautiful, clean, comfortable cabin. The Africabin was a great layout and had great access to activities in each direction. The views were fantastic and the property was very peaceful. We had everything we needed and felt like welcomed guests the whole time. We were extra excited that the cabin was already decorated for Christmas which took a lot of pressure off of preparing for the holiday. Thank you so much. Hopefully we make it back again in the summer sometime. 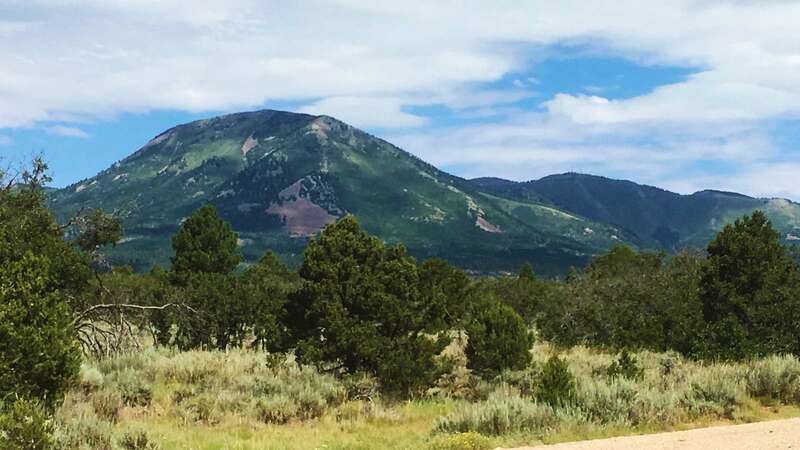 If you're looking for time away from the city and time to reconnect with nature, this is the place. 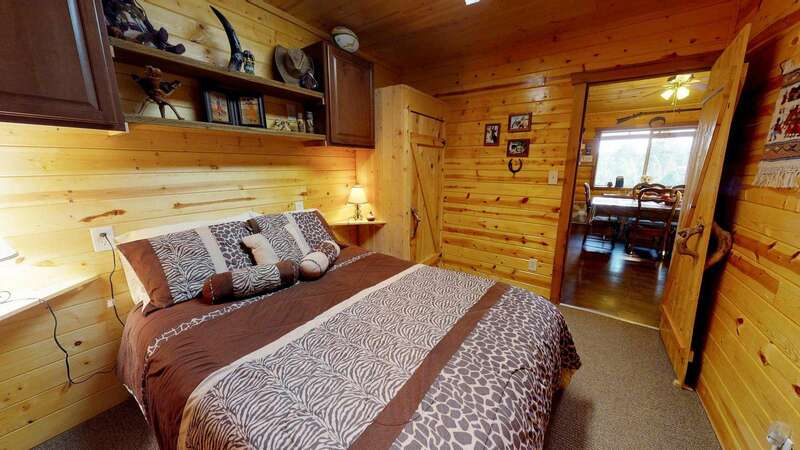 Jerry's cabin is exceptional and with every amenity needed. 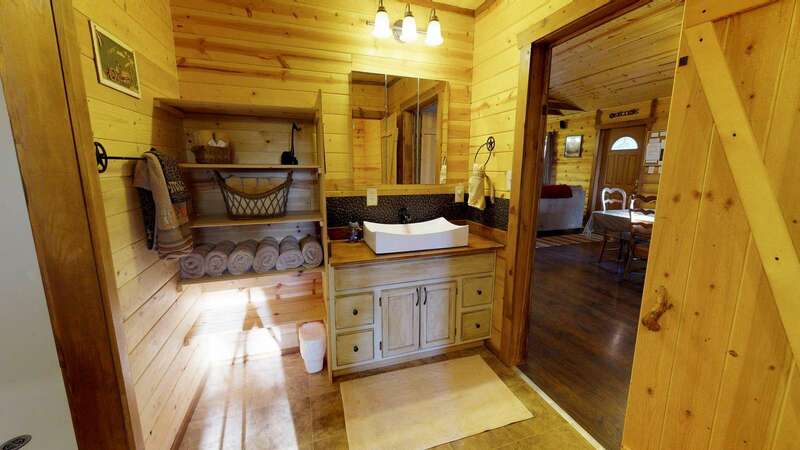 The cabin offers privacy and seclusion. 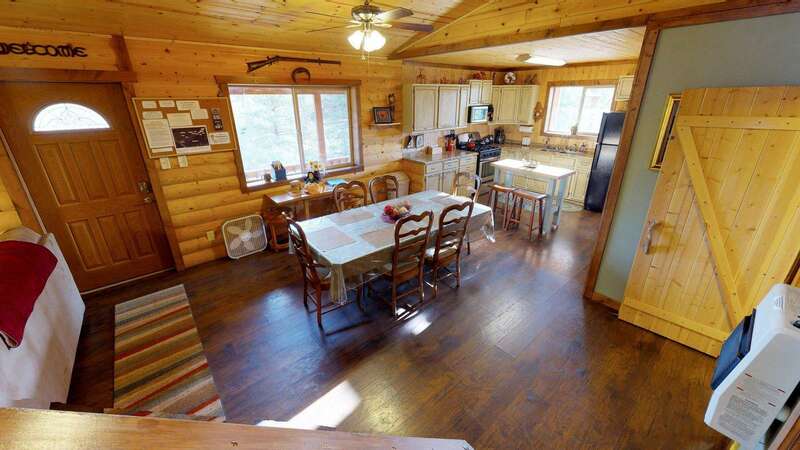 There's lots of room for kids to run around in and outside of the cabin. My family and I were extremely satisfied with our stay. Clean, secluded and BEAUTIFUL! This cabin is great!!! 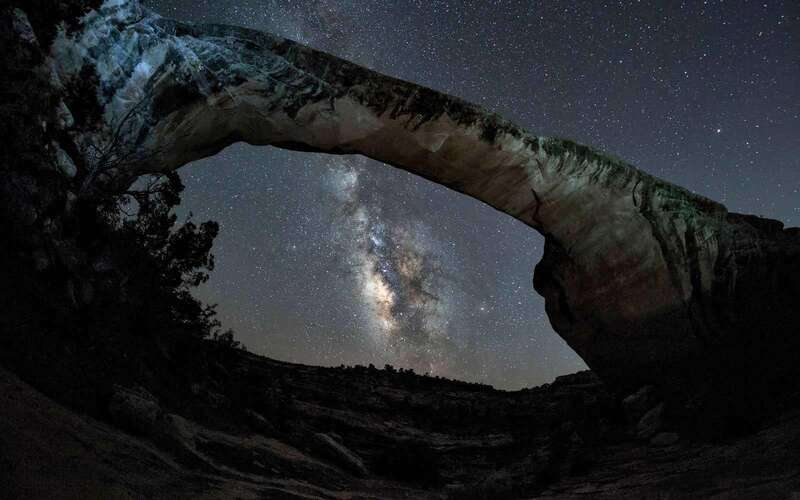 If you want to see a billion bright stars, this is the place! Cabin was clean, cool, comfortable, private and extremely peaceful. Loved the back porch and cool breeze after long day of exploring. 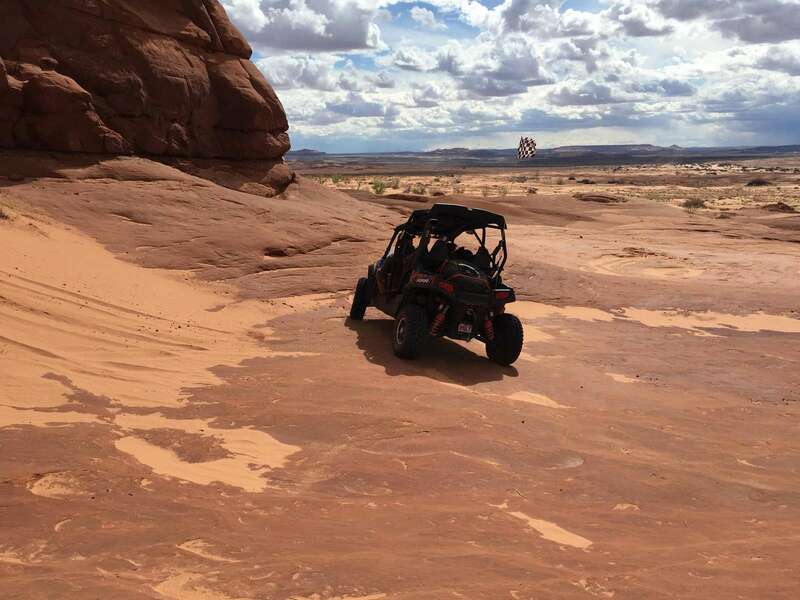 Great location for Canyonlands Needles, as well as surrounding area. Lots to do and see in the area. Jerry has an awesome book with all the info you need. Jerry’s place was absolutely stunning! 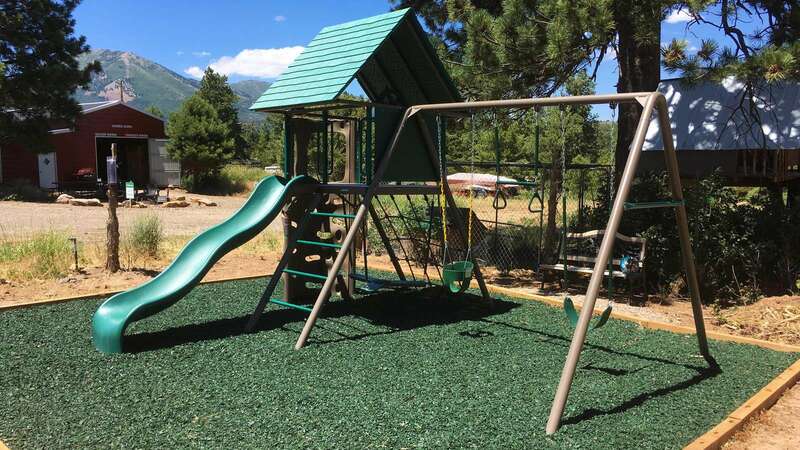 Perfect location, cozy spaces, quiet area, and great amenities. Would stay again!! Exceeded our expectations! The cabin and property were beautiful. The Africabin was the perfect fit for our group of seven! We were right in the middle of great opportunities for hiking and dirt biking. We were worried that one bathroom might be tight, but the layout was perfect and we all had our own space. What a special family event this turned out to be. Thank you! 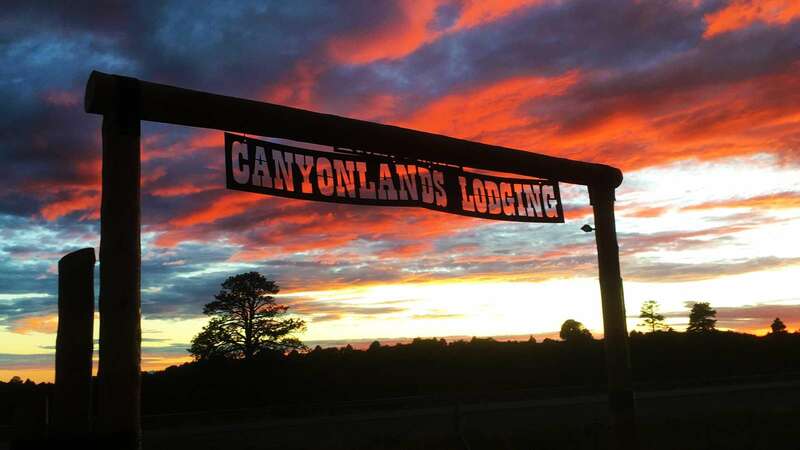 This was our 2nd trip to Canyonlands Lodging and I cannot say enough great things! The hosts are amazing and truly pay attention to the small details to make you feel welcomed and at home. 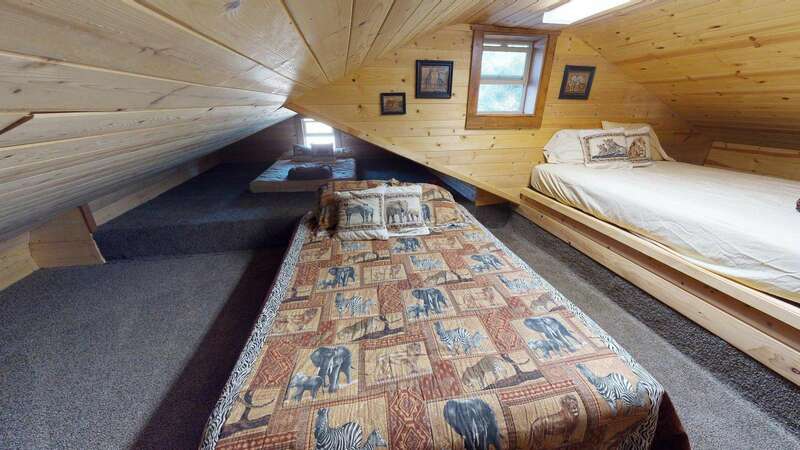 The Africabin was affordable, clean and a super cozy space to spend a snowy weekend. There is also endless amounts of outdoor exploration nearby. We love it here- what a special place! LOVED the Afri-cabin!! 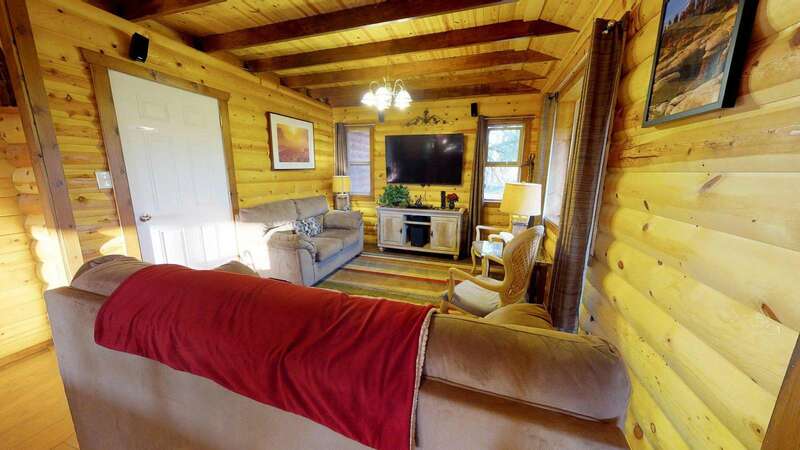 Very cozy and the perfect location for exploring all that southern utah has to offer. The Africabin was the perfect home base during our holiday hiking adventures. 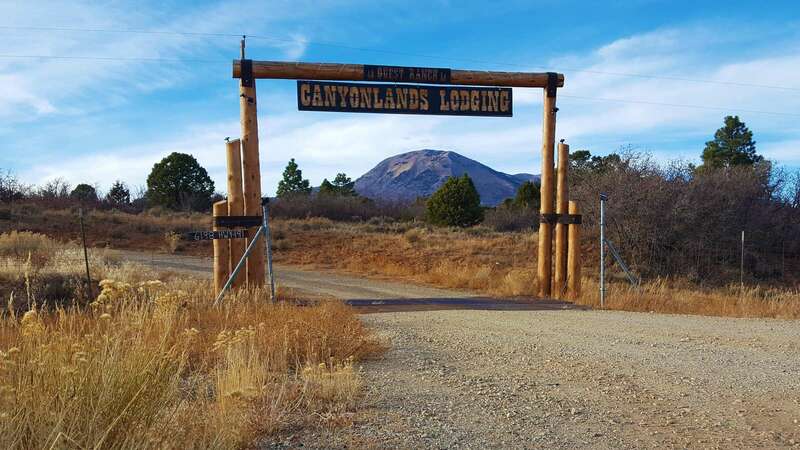 We initially booked 3 nights and ended up extending for 5 nights; the hotels on the remaining nights on our trip (in Chinle and Sedona) were nowhere near as cozy and comfy. I think this is great for 3 or 4 guests, but might feel a bit crowded if you went higher than that. Close access to both Needles and Natural Bridges, though keep in mind that Arches and upper Canyonlands are a solid drive. The Africabin was very clean, bright and quiet. Very comfortable after the day of sight seeing. We met Tina and Jerry only briefly but they were very friendly. My only advice (not a criticism) is that there is 4 queen beds (1 each in 2 bedrooms and 2 in a shared loft) but only 1 bathroom. For the 3 of us (1 couple + 1 single) this was not a problem but for larger groups there could be scheduling issues. We enjoyed our stay and would certainly consider this again if we were in the area. Our original plan was for two night but we ended up spending three nights at the Africabin and loved it! We arrived after dark the first night and Jerry met us there to ensure we got in ok. This is a secluded area with lots of privacy. 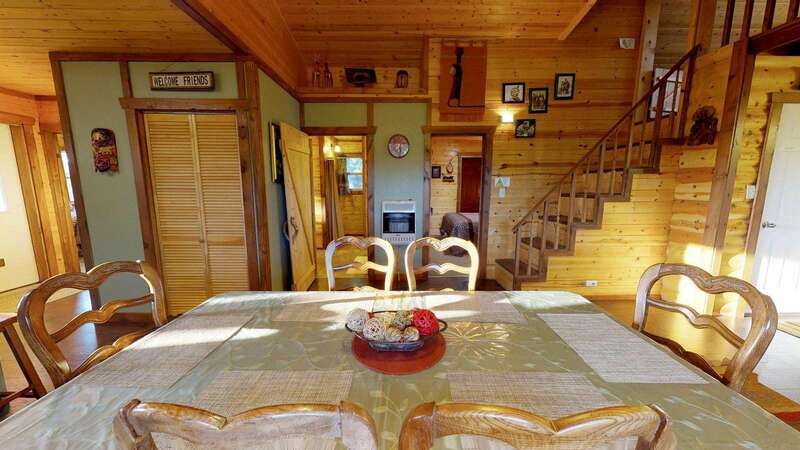 It was nice to come back to a beautiful cabin after a day out sightseeing and a day at Cayonlands National Park. Jerry was very helpful and great to work with. Would highly recommend! Beautiful setting and convenient to attractions. Well equipped kitchen. Africabin was even better than anticipated! 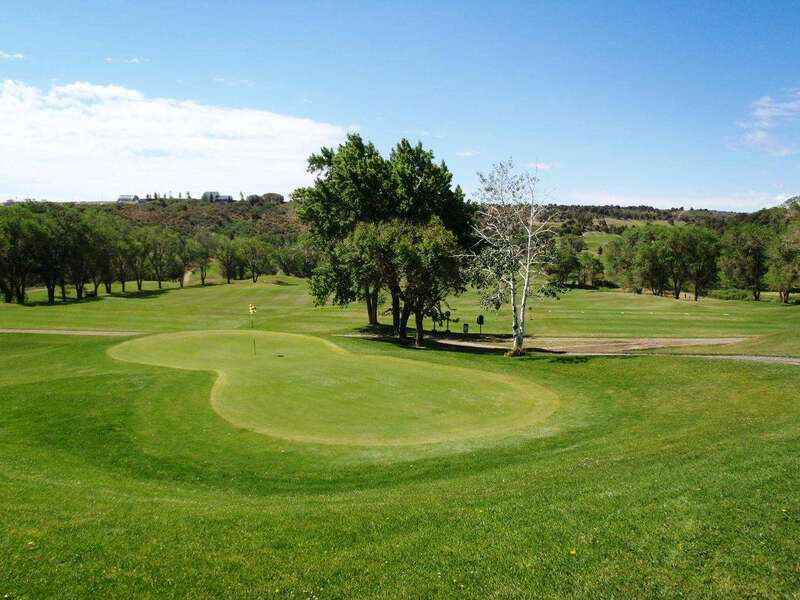 The setting is secluded and quiet but still offers excellent access to nearby parks like Canyonlands and Arches. It is very spacious and clean... definitely somewhere we could stay for awhile. We hope to be back! La casa è molto accogliente e immersa nella natura. All'arrivo abbiamo trovato anche dei muffin ad attenderci. Perfetta residenza per godersi la tranquillità e riposare alla grande dopo aver visitato i parchi dei dintorni. Ci tornerei subito! The Africabin was a lovely and quiet place to stay. We felt at home and enjoyed the patio and outdoor living space after our long hiking days. Thank you to the Murdock's for the hospitality they showed us during our stay. 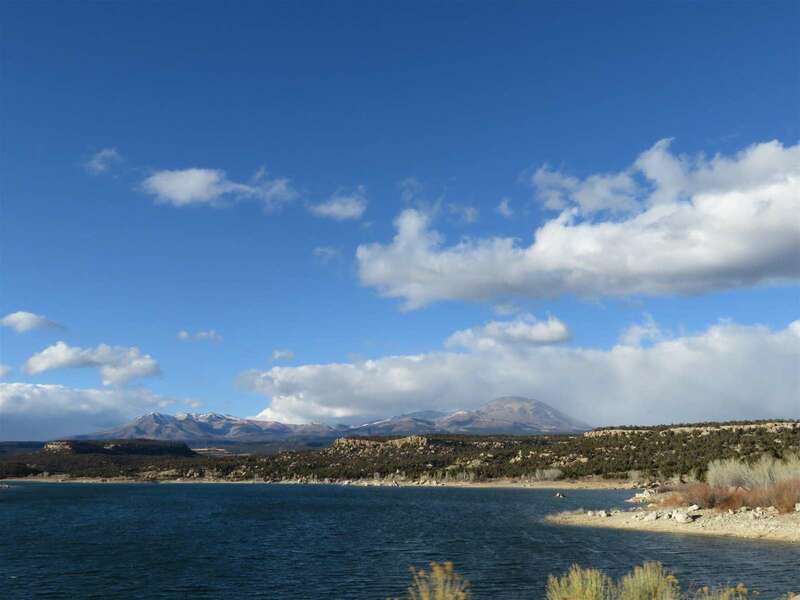 This was a great base for activities in Southeast Utah. 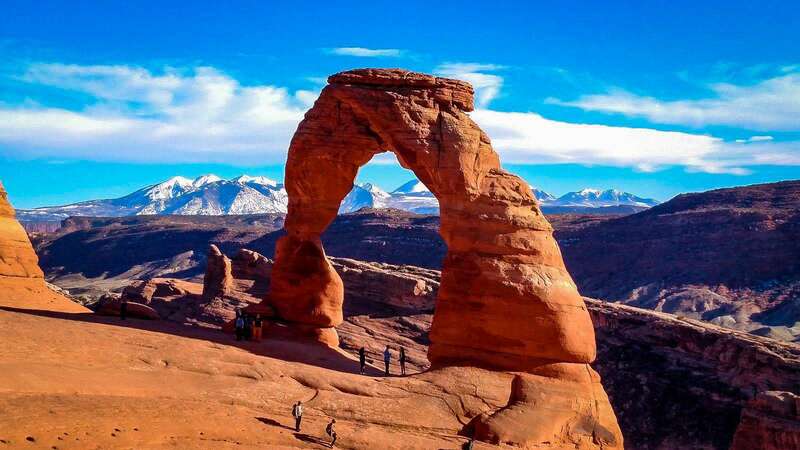 Wanting to visit Arches and Canyonlands but not really wanting to stay in a motel, and really wanted somewhere with room and views. Did we strike a gold mine. Yes some distance from the parks but even with road construction it was under a hour and would have missed the scenery between the cabin and the parks. Back to this cabin, It was spectacular. It was just the two of us and it worked really well. House has two separate bedrooms, plus loft that had 3 beds, which would work for older children. Stairs are a bit steep so young children might be a issue. Open living, dining, kitchen format, with the kitchen being well stocked with cookware and serving ware. Host even leave muffins and sarsaparilla as a welcome. Only drawback I saw was just the one bathroom. Not a problem for us but could see if a very large group might be. Saved the best for last. The back porch. Awe. Overlooks a pine tree filled ravine. Early mornings watching the deer and listening to the birds wake up. Chipmunks scurry around during the day. It was a peaceful place to return after a day filled of sightseeing. Would recommend and if in the area again will stay again. Many Thanks. Loved the cabin and hospitality. Only minor issues that come with renting a cabin. Thanks for everything. Beautiful and full of so much character. Comfortable beds So much to do. There was four of us, and room for four more easily. 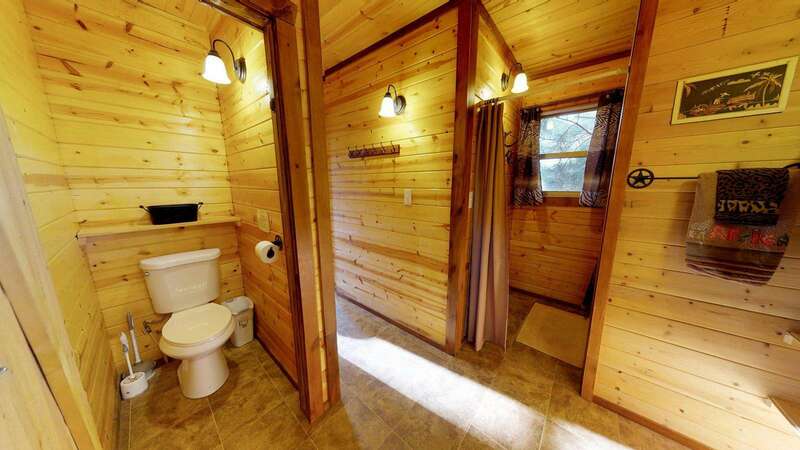 But remember that there is only one beautiful large bathroom. We didn't have the opportunity to take advantage of all the luxurious. Jerry is great with answering questions ahead of time. Beware of the deer when driving in at night. Definitely would stay there again. 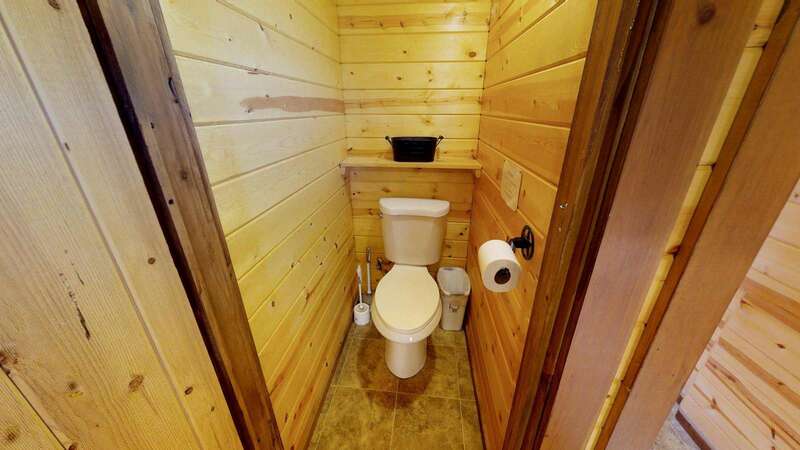 Nice, relaxing cabin. Kids enjoy the upper loft. We liked the friendly watchdog that roamed around and paid us a visit now and then. This Africabin is wonderful! My partner and I stayed in here in mid-October while touring the Needles District of Canyonlands National Park. It's quiet and remote-feeling, though not too far at all from the grandeur of the surrounding sights. Tasteful decor, spacious, and with new kitchen amenities including a gas range and a great coffeemaker. The cabin feels new all around, with beautiful woodwork including rustic wooden doors and a marvelous, slanted-ceiling loft that kids would just love (we were nearly tempted to sleep up there ourselves!). The beds were comfortable and the shower was efficient. There's also excellent wifi, a big TV, and a Bluetooth-capable sound system that is very easy to use. 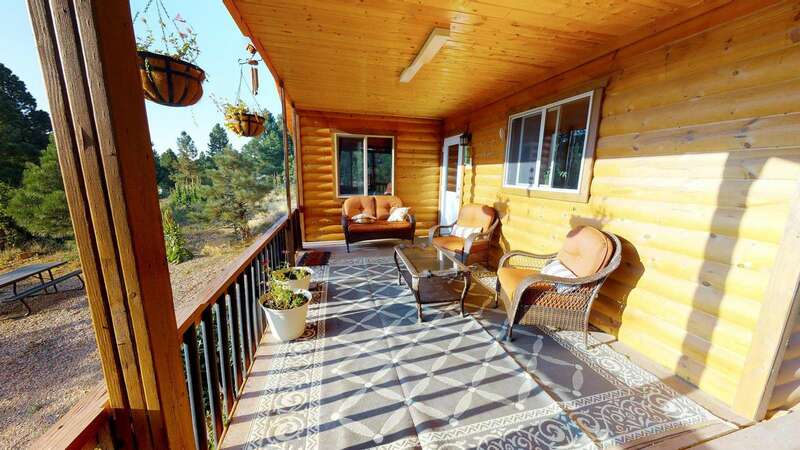 Outside, the deck is beautiful and faces the morning sun--we enjoyed a few cups of coffee in the big, comfy chairs there, basking in the warmth and watching bluebirds flutter around. There's also a great grill and a very nice firepit outside, complete with marshmallow-roasting skewers. 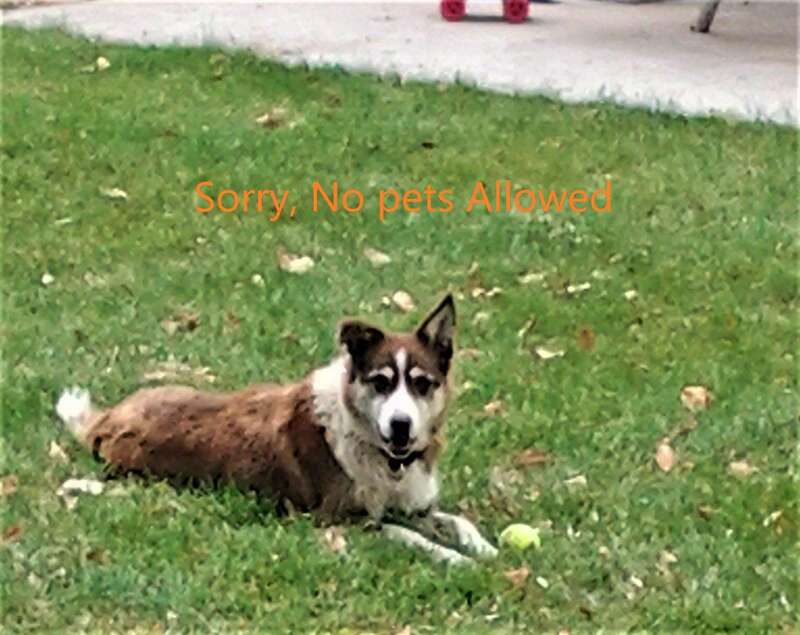 A sweet, jovial property dog named Inja befriended us in the yard. He may have been the favorite part of our stay! 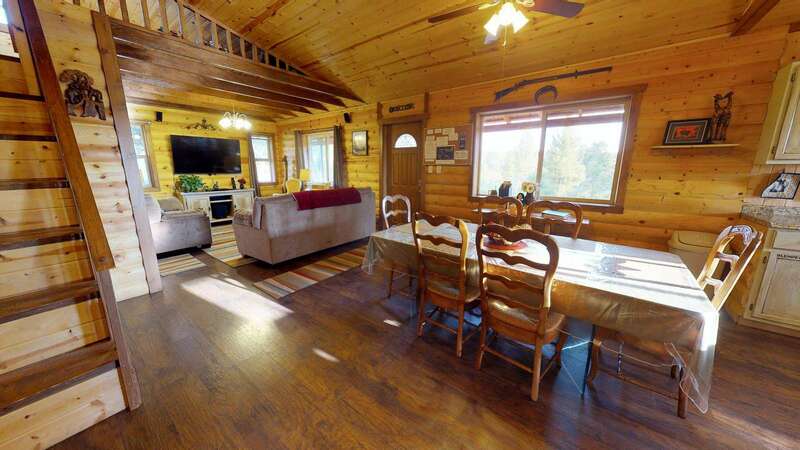 The property host met us as we pulled into the cabin, which was perfectly easy to find with the provided directions, and he was very friendly and accommodating whenever we bumped into him throughout our stay. Overall, we have zero complaints about this place, found it far outdid our expectations, and would love to return in the future. Maybe the best package we've experienced yet on Airbnb. Thank you so much, Jerry, et. al.! 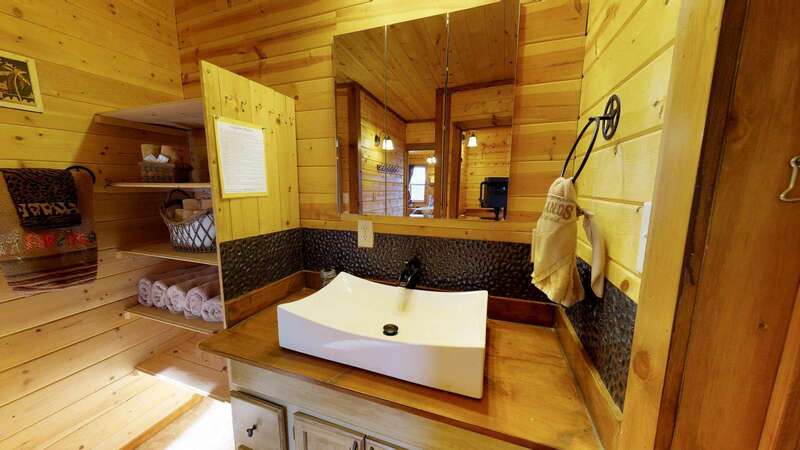 I loved how the cabin operated, with the gray water from the sink flowing to the mint garden outside. It almost had an eco-cabin feel. I loved Inja. I loved the fine appliances and feel of the kitchen. I loved the deck. The young man who met us as we arrived was very kind and friendly. The bed in the East room was wicked comfortable. I really loved everything about this space and think you've done a thoughtful and thorough job in making it a marvelous experience for your guests. 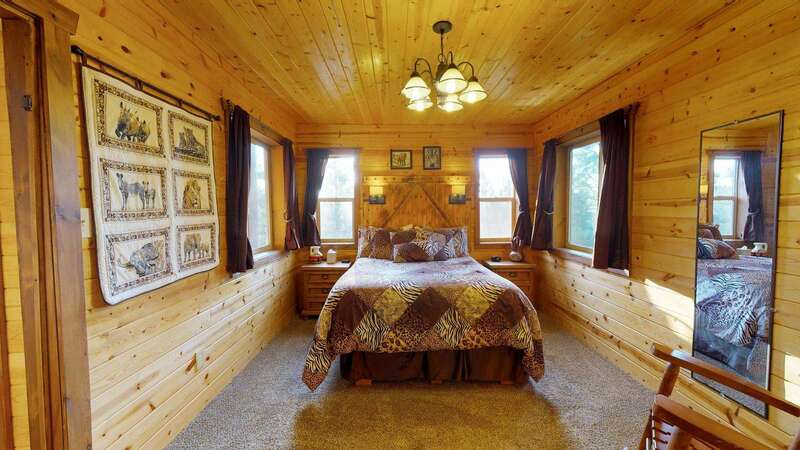 This cabin is wonderful! My partner and I stayed in here in mid-October while touring the Needles District of Canyonlands National Park. It's quiet and remote-feeling, though not too far at all from the grandeur of the surrounding sights. 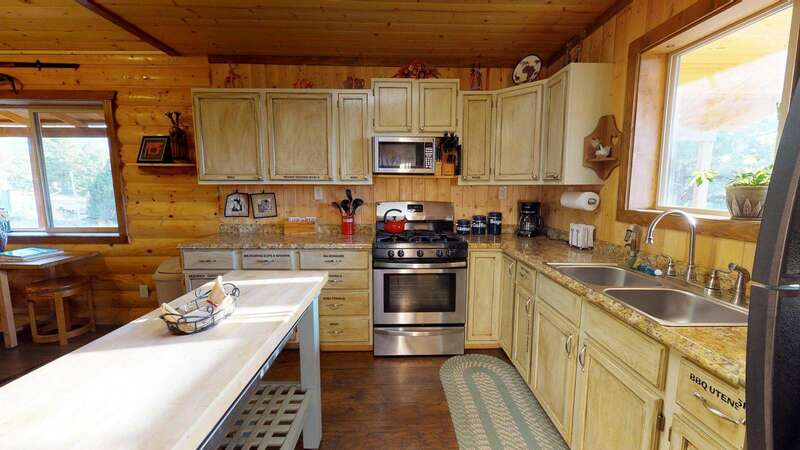 Tasteful decor, spacious, and with new kitchen amenities including a gas range and a great coffeemaker. 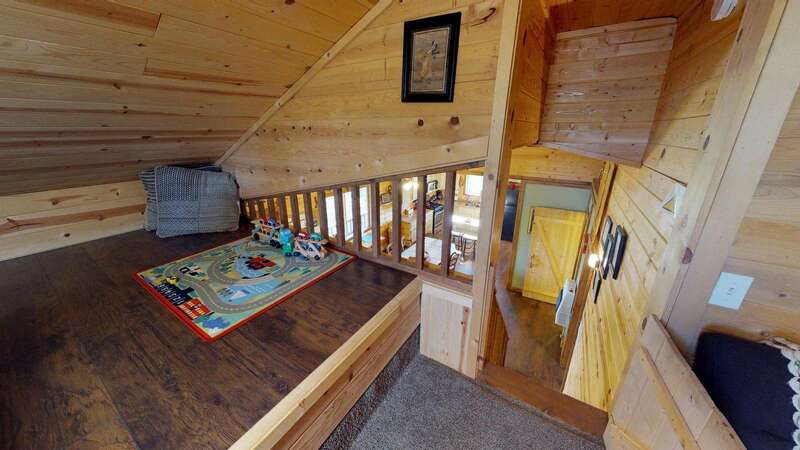 The cabin feels new all around, with beautiful woodwork including rustic wooden doors and a marvelous, slanted-ceiling loft that kids would just love (we were nearly tempted to sleep up there ourselves!). The beds were comfortable and the shower was efficient. There's also excellent wifi, a big TV, and a Bluetooth-capable sound system that is very easy to use. Outside, the deck is beautiful and faces the morning sun--we enjoyed a few cups of coffee in the big, comfy chairs there, basking in the warmth and watching bluebirds flutter around. There's also a great grill and a very nice firepit outside, complete with marshmallow-roasting skewers. A sweet, jovial property dog named Inja befriended us in the yard. He may have been the favorite part of our stay! 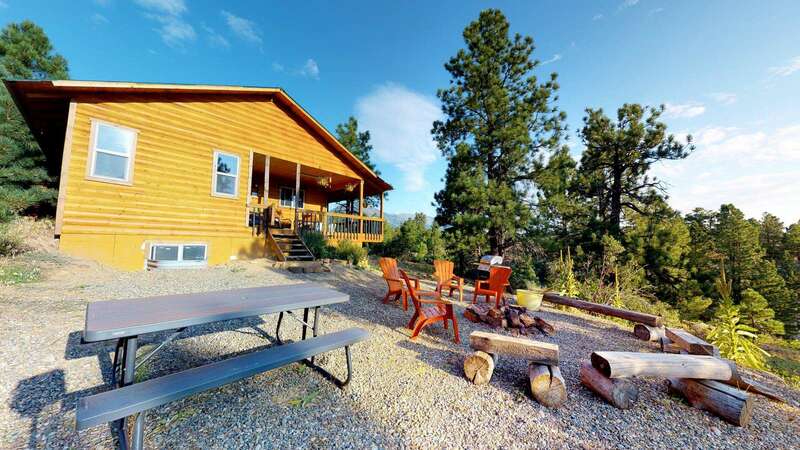 The property host met us as we pulled into the cabin, which was perfectly easy to find with the provided directions, and he was very friendly and accommodating whenever we bumped into him throughout our stay. Overall, we have zero complaints about this place, found it far outdid our expectations, and would love to return in the future. Maybe the best package we've experienced yet on Airbnb. Thank you so much, Jerry, et. al.! Stayed at Aficabin for 5 nights. 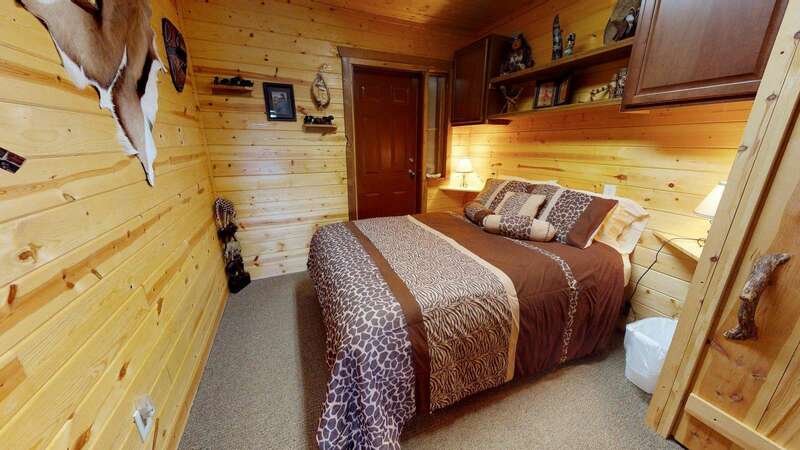 The cabin is beautifully decorated, clean and very comfortable, equipped with all essentials and more. Jerry was very supportive and accommodating. Highly recommend! Thank you Jerry!